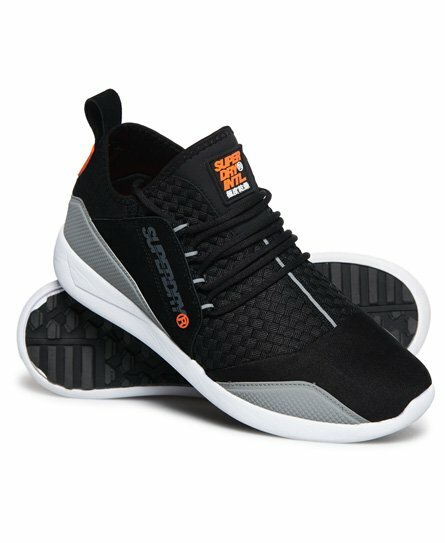 Superdry men's SD Superlite runner trainers. These lightweight trainers feature a panelled design, with a lace fastening and heel pull tab. These trainers also feature a textured Superdry logo on the outer side and a printed logo insole. Finished with a rubber Superdry logo badge on the back of the trainer and on the tongue.